I’ve been doing some thinking about recessions, depressions and double dips. I don’t know about you but this one, whatever you call it, seems to be dragging on a bit. When I was talking to a senior accountant friend of mine recently, who is approximately the same age as me and who has been in accounting all his life, his take on it is “Welcome to the New Normal”. In his opinion, these straightened financial times are what our lives are going to be like for the next big chunk of time, perhaps twenty years or so, maybe more. I went to Wikipedia to look up some facts and figures about recessions and depressions and it seems that they normally only last about one or two years. Even this one, which in my world view has lasted from 2007 to 2014 (so far), is regarded as officially having been two recessions of about 1-2 years each within that span. So what do I know about recessions? Nothing, clearly. This one has felt to me, at times, like a long grim endless grind and I’m getting sick of it but if my pal Christopher is right, and I suspect he is, this is our New Normal, my new normal. So how am I going to choose to be in this new normal? 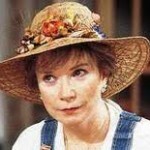 I clearly can’t be in a very bad mood for the next forty years like Shirley MacLaine’s character, Ouiser, in Steel Magnolias, funny though that was as a one-liner. Time for me to change mind. Time to brace up. A friend remarked that there’s still plenty of money out there. Yes, there is. We managed to raise more than £51,000,000 for Sport Relief. There’s plenty of money about. People will find a way to buy and spend on what they want; where there’s a will there’s a way. Human beings and general, and entrepreneurs in particular, are endlessly resourceful and generous. This New Normal may define a generation who, frankly, know no different. Comparing it with what has gone before serves no purpose and just makes me sound like an old whinger harking on nostalgically about “better times”. But were they really? We have simply to pull on a new mindset in the mornings and crack on to pastures new, the unexplored. Wide open adventures, that’s our opportunity in the New Normal. Wide open adventures. How gorgeous does that sound? How enticing! Where and what are the opportunities born of recession in our lifetime now? What will our clients buy from us; what do they need and want? Is it about adding value or cutting prices? Is it about being flexible and getting your bills paid in new ways? How is marketing changing as people start to feel discomfort, even revulsion, at excess? How can we be more mindful in our life and work choices? When I recently re-joined LinkedIn I was chuffed to see how many of my old network are now doing something completely different for a living than when I last checked in. How enterprising! We are nothing if not pragmatic survivors, reinventing ourselves all the time. And, talking to two businessmen last week, with whom I have worked as their accountant in the past, now they are enquiring after my professional blogging service. I may have reinvented my offerings, but I am still the same me and that they know – professional and reliable. My core values are as they ever were, my delivery mechanism is different, that’s all. I am not up for struggle but I’m always up for a challenge. How about you? Now, hand me my copy of Steel Magnolias. I’m fairly sure Ouiser’s story ends happily enough and I could use some cheering up. And a good cry.